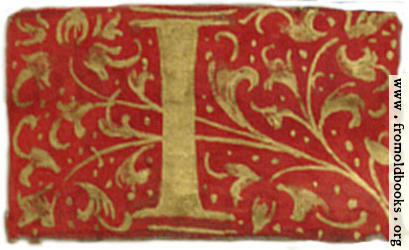 The letter I painted in red and gold used as a decorative initial. 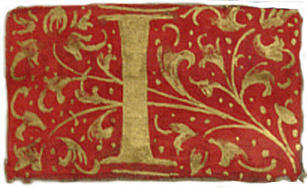 This is what in calligraphy today is called a built-up letter, made with multiple pen or brush strokes. However, it was then gilded with gold. 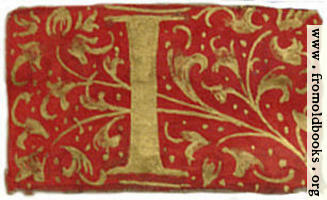 This image was on image 14 of the Library of Congress page images.